One of the major event trends event managers are following this year is to make their events more HEALTHY! In other words, there is now a stronger preference to provide HEALTHIER options at events, whether it be through a smoothie, fruit appetizer, and much much more! So why this sudden shift? Why are more event managers following this “healthy” trend at their events? Studies have proven that certain foods can make you feel more sluggish or energized, and event managers are noticing the difference! Certain options (fresh fruit is the perfect example!) can increase attendees’ participation and overall boost their energy levels so they are more engaged in your event! Here’s an easy tip: Time to trade in those fried apps for a more exciting, colorful option! 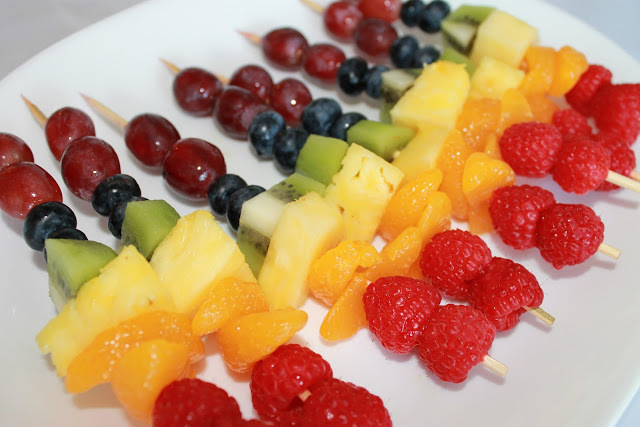 Shake up your next event or meeting with nutritious fruit kebabs! Use fresh fruit to energize your attendees! Get CREATIVE and COLORFUL! Promote good health and wellness at your events! Previous Post Follow Us On Twitter!